Bids on bonds last week at .53 on the dollar, are now at par+++. The Dubai sell-off was just another Black Friday sale. But the big buyers of the paper probably were Dubai World! But Wall Street sure made a panic out of it at that time, didn't they telling us that the world was going to collapse! DUBAI -- Dubai said Monday that it has received a $10 billion bailout from neighboring emirate Abu Dhabi to pay part of the debt held by conglomerate Dubai World and its struggling property unit Nakheel. Of the amount, $4.1 billion will be used to repay Nakheel's Islamic bond, or sukuk, that matures Monday. 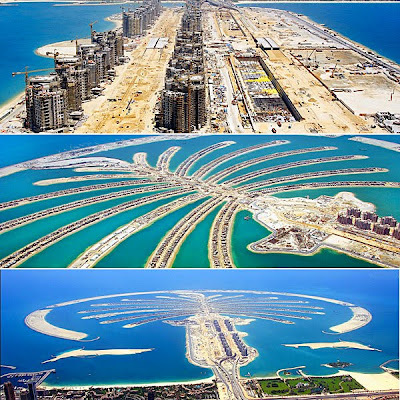 The remainder of the funds will be used to finance Dubai World's needs up until the end of April 2010. "We are here today to reassure investors, financial and trade creditors, employees, and our citizens that our government will act at all times in accordance with market principles and internationally accepted business practices," Sheik Ahmed bin Saaed Al Maktoum, chairman of the Dubai Supreme Fiscal Committee, said in a statement. Abu Dhabi's bailout sent shares on local stock markets soaring. The Dubai Financial Market's main index closed up 10% at 1871.20 points with heavyweight Emaar Properties ending limit-up 15%. In Abu Dhabi, shares closed 7.9% higher at 2821.11 points. How Is the the weather forecast today?